On Monday December 20 Blackville School held its annual Choir and Band night which included performances by the Blackville School Girls Choir, Blackville Elementary Choir, and the grade 9H class who played with the School Jazz Band. Meanwhile, the elementary students of Blackville School put on an excellent show for parents and other guests on Tuesday morning December 21. On Wednesday evening, December 15, the Middle and High School Drama Clubs held a dessert theater which was hosted by the Culinary 110 class. The audience enjoyed three Christmas plays: What, No Santa?, CSI (Christmas Scene Investigators), and Billy Shakespeare's Extravaganza and Traveling Freak Show. On Friday, December 12, the high school students held their annual Christmas formal. Their theme was "Snowflake Ball." On Friday, December 3, the middle school students held their annual Christmas formal. Grade 12 Blackville School students had the opportunity to get some pointers on budgets and credit advice. Tamara Kelly, Director of Education for Credit Counselling Services of Atlantic Canada, spoke to the 2011 graduates to discuss how money, interest and budgeting works. For more information on Credit Counselling Services, click here. In photo (l-r): Alejandra Leon de Gante, Melita Urquhart, Taylor Colford, Braden Clarke, Tamara Kelly, Kayne Colford, Laura Richard and Alex Colford. Captain Art Gaetan and first mate Spencer Houston, from Oceans Wild came to Blackville School on November 17. They delivered a presentation about what they do, how they do it, and they also informed the students about the negative impact humankind is having on the ocean, and how we can prevent it. Filled with passion and dedication to what they do, the presentation really hit home for many of the students. The information they provided gave a reality check to the student body about what is happening in the world surrounding us, and how so many of the small decisions we make impact us so greatly. 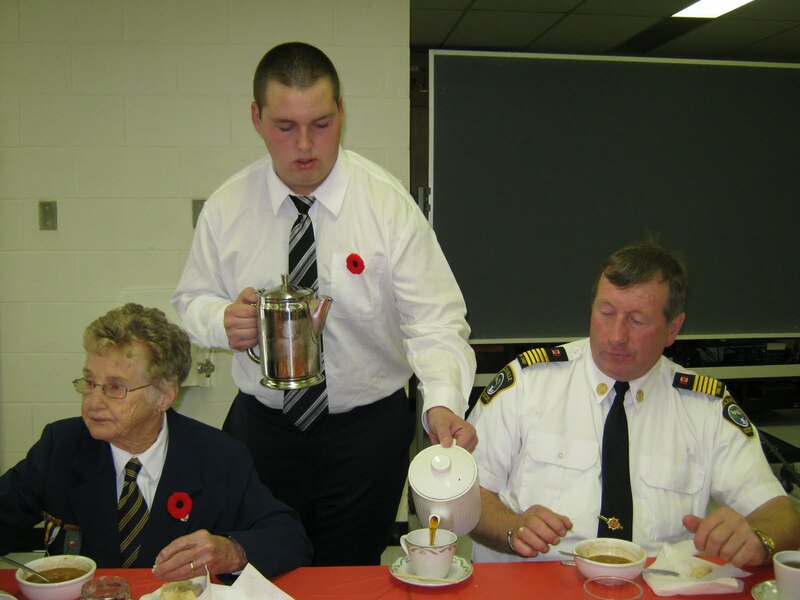 The event was sponsored by the Blackville Home and School Association. For more information on Oceans Wild, click here. 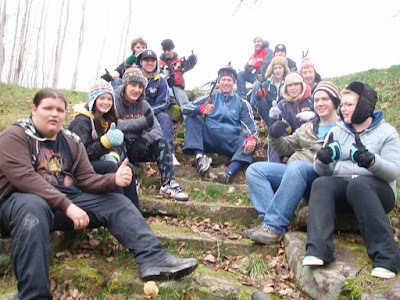 Blackville School Grade 11 students of the Outdoor Pursuits class braved the elements on November 9 and 10 when they camped overnight at Kouchibouguac National Park. 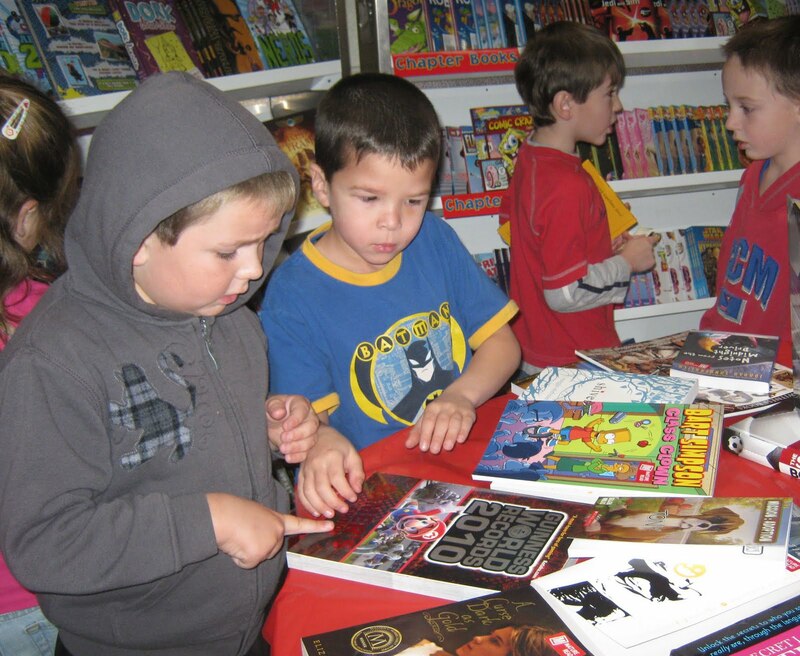 The Blackville School Library will be hosting its Pre-Christmas Scholastic Book Fair next week. Everyone is invited to check out the fantastic selection of popular new titles. Please come out and support this annual school library fundraiser. Students and staff of Blackville School joined many community members for the annual Remembrance Day Ceremony at the school on Wednesday, November 10. Following the ceremony, special guests, including veterans, were invited for a luncheon hosted by the Culinary 110 class. Shown here is Grade 11 student Cory Keenan serving tea and coffee to World War II Veteran Corporal Joyce Fortune and Blackville Fire Chief Garth Underhill. 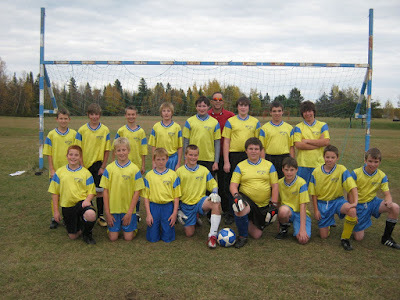 The Middle School Boys Soccer team took the bronze medal at their Soccer Jamboree. The boys first played Dr. Losier and lost with a score of 4-1. The only goal was scored by Stewart Jardine. The team played Nelson next and won with a score of 3 to 2 in a shootout. Scoring for the team was Tanner Manderville, Riley Keenan and Bailey Curtis. 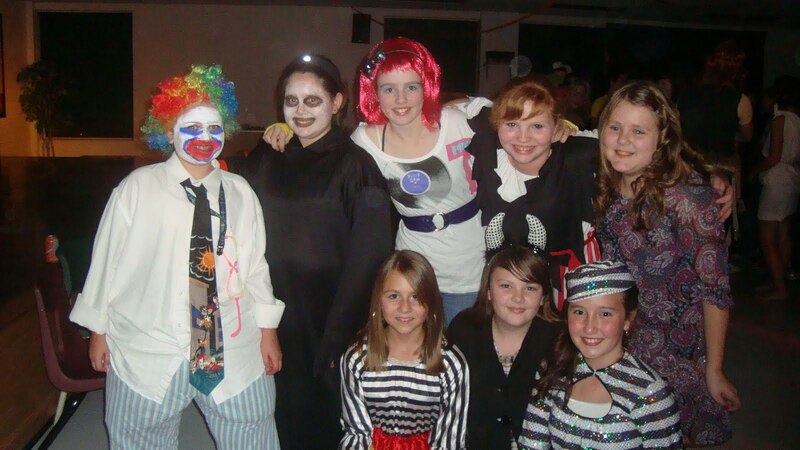 Middle and high school students from Blackville High enjoyed a Halloween dance on Thursday night, October 29. Meanwhile, the Graduating Class of 2010 hosted Halloween parties for the elementary students in the early evening of October 29. 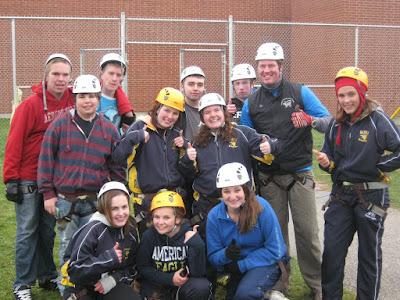 Grade nine students from Blackville school journeyed to Miramichi Valley High School to take part in the High Elements Course on Monday, October 25. 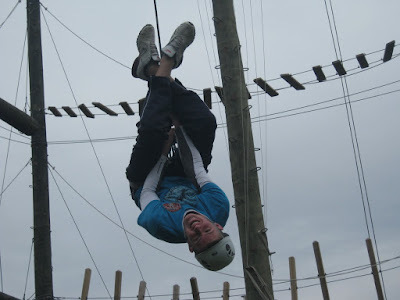 The purpose of the activity is to challenge students to move outside their comfort zone while also building support and trust with their peers. 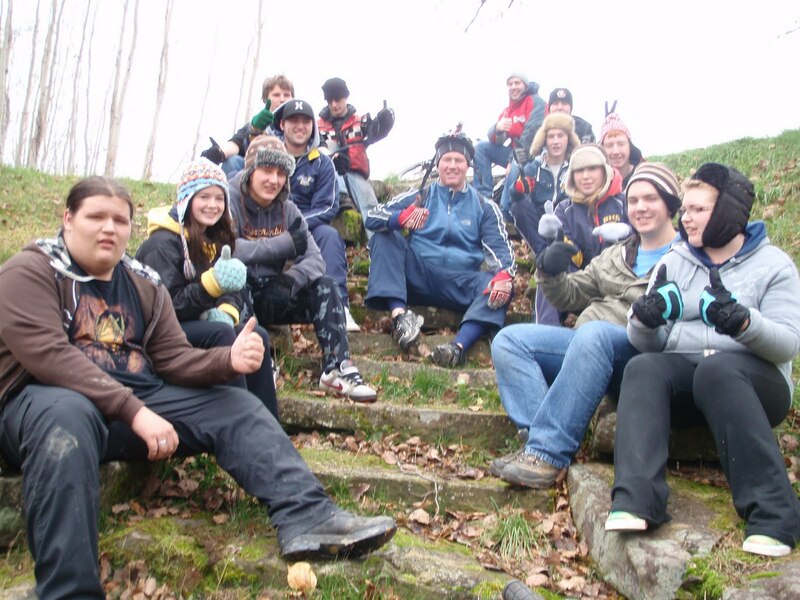 The High Elements Course is part of District 16's Adventure Education Initiative. 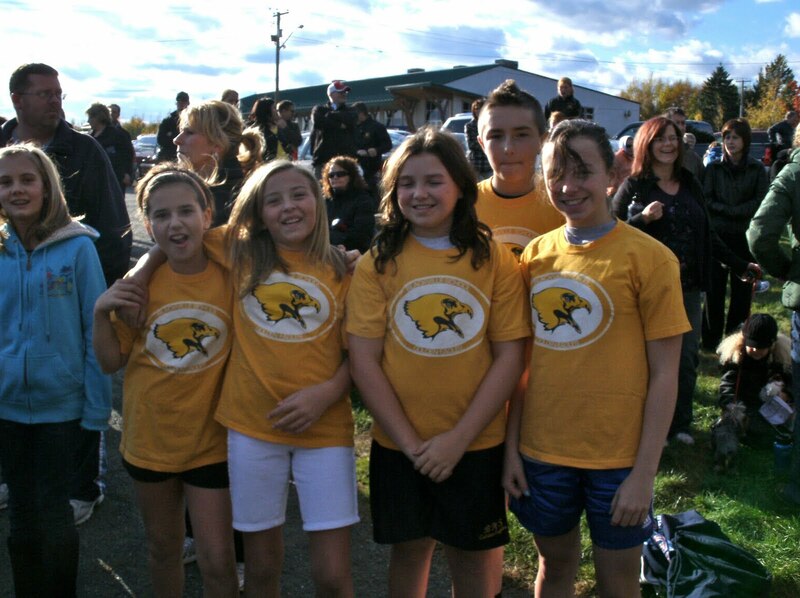 The Middle School Cross Country team played their best at their final meet in French Front Cove , last Wednesday, October 20. Congratulations to all the runners who participated in the race. The results are as follows: For Grade 8, Caitie McCabe, finished 3rd overall and 1st for Blackville, and Ashley Vickers, finished 9th overall and 2nd for Blackville. For Grade 7, Wyatt Vickers, finished 7th overall and 1st for Blackville. For Grade 6, Laura Sturgeon placed 1st for the school, Nicole Nash placed 2nd for the school, and Emily McCabe placed 3rd for the school. Miss. Hart would like to send out a huge thank you to all of the runners and parents for their continued effort, support and dedication! It was an awesome season. Blackville High School students had the opportunity to see the new Shattered video produced by Mothers Against Drunk Driving (MADD). After viewing the video, the students had an opportunity to discuss the video with MADD School Outreach Field Representative Roch-Alain Poirier. NB Liquor Representatives Tara McNeil and Elizabeth MacDonald also spoke to the students. NB Liquor sponsored the presentation costs for the school. In photo: Student Council President Melita Urquhart, Secretary Mogan Donovan, Tara McNeil of NB Liquor, Second Vice-President Michaela Jardine, Boomerang representative Carly Hallihan, Elizabeth MacDonald of NB Liquor, Boomerang representatives Michael McNeil, Melissa Underhill, Junior Vickers, and TJ Donohue, MADD representative Roch-Alain Poirier and 1st Vice President Dallas Underhill. Blackville High students from the Outdoor Pursuits Class participated in the first Miramichi Big Canoe Challenge at the Bicentennial Park in Nelson. Students had the opportunity to try out the 26-foot Voyageur canoe "Sipu" on Sunday, September 26. Blackville School students, staff and other members of the community participated in a Terry Fox Fundraiser for the fight against cancer on Monday morning, September 20. This year marked the 30th anniversary of Terry Fox's run across Canada to raise both awareness and money in his fight against cancer. Mr. Hal Muck and Mrs. Jennifer Hambrook join the students in the "Fight Back" against cancer rallying cry during the Terry Fox fundraiser at Blackville School. Rebecca Campbell, a refugee of the civil conflict in Sierra Leone (over control of the diamond mines), spoke to the high school students at Blackville School on Wednesday afternoon, May 19. Campbell was invited to speak to the World Issues 120 class and it was decided her story should be shared with the entire high school community. Campbell is now a Canadian citizen who lives in Miramichi. She is a business owner and wrote a book called Strong and Free. Campbell spoke to the students about her experiences in Sierra Leone, her escape through a war zone with her three young children, her journey to Canada and the importance of education. It was a full house in the Blackville School cafeteria Wednesday evening, May 19. The High School Drama Club and Theatre Arts 120 class presented their two short comedies, How to Succeed in High School Without Really Trying and Check Please. The audience enjoyed many laughs and also some sweets, tea and coffee, served during the intermission. Grade 4 student Jules Keenan (fourth in front row from right) poses with her classmates and displays her new prize, an Ipod Shuffle. Jules won first prize in an Earth Day Contest and her classmates also received recognition for their efforts. For more information, click here. Be One of a Kind! Last Week (April 12 - April 16) Blackville School held their first annual "Be One of A Kind!" Week. The purpose of the week was to encourage students to make a difference and to develop empathy for others. Classes in Kindergarten through Grade 12 participated in a number of events throughout the week. 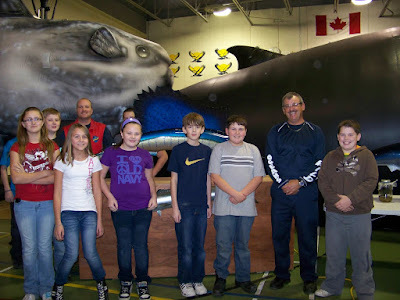 Some of the events included a food drive for the Miramichi Food Bank, Caught You Caring Campaign (where students who were randomly caught doing good deeds received a ballot that was entered for a draw for a movie pass), a positive message t-shirt design contest, and classroom lessons on kindness and making a difference. The finale of the week was Pink Shirt Day in which students wore pink t-shirts to show that they agreed to take a stand against bullying. 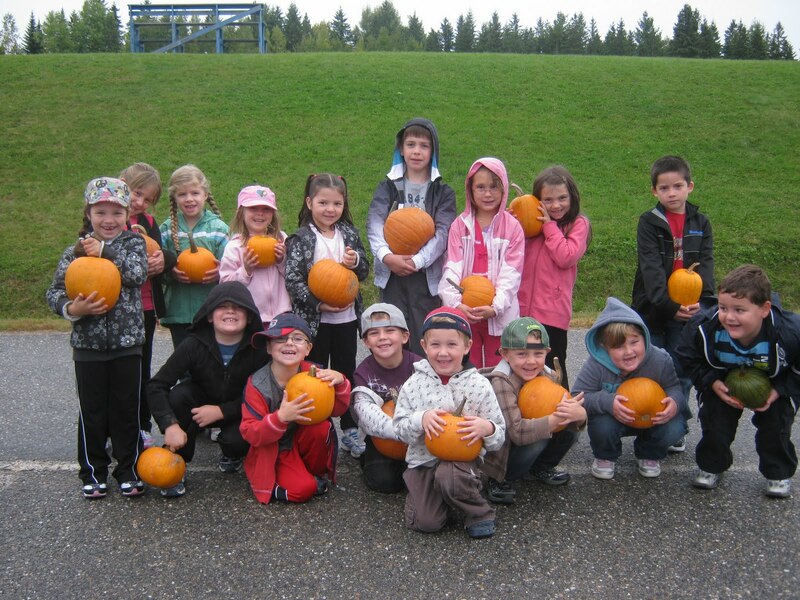 Many classes had 100% participation rates proving that Blackville School students can and do make a difference. High School Student Council Executive Members Sylvia Donovan, Mitchell Donohue, Grace Coughlan, and Melita Urquhart get the food donations ready for the Miramichi Community Food Bank. Middle School students and staff at Blackville School participated in "The Great Big Crunch" on Wednesday, March 10. The activity took place across Canada to promote awareness of healthy eating habits and local and global food systems. Every student and staff took a healthy bite from their apple at the same time. Blackville School held their 4th Annual Math Olympics on Tuesday, February 16. Inspired by the 2010 Olympics in Vancouver, it was decided by the Elementary teachers to hold this year's event in February during the first week of the Winter Olympics rather than in the fall as in previous years. Madame Michelle Tobin Forgrave and grade eight student Noella Doiron were official torch bearers for the Olympic flame as it made its way through Canada. They lead the kindergarten to grade eight into the gym for a "victory lap." This was followed by a brief description of their experience of being part of the 2010 Olympic Torch Relay. The two then lit the Olympic Math flame. In the spirit of the Canadian experience at the Olympic games and to celebrate flag day, flags depicting the provinces and territories were carried by the Grade 7 class. The classes from kindergarten to grade 2 started the Math Olympic ceremony. 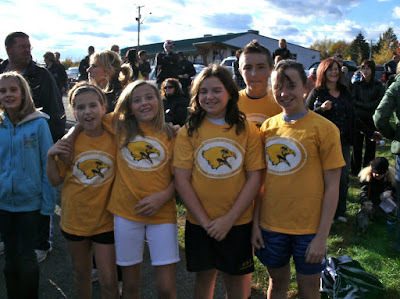 They were assisted by Home and School members and as several Middle School students. The classes from K-5 also selected a team name and a colour for the day. The classes from grades 3-5 began their Olympics in the afternoon where all participants had events that called on them to use strategy, team cooperation, encouragement, and school spirit. The medals for the games will be presented at another assemby where students from each class will receive a gold, bronze, or silver for each of the events. Members of the High School Boys Hockey Team attempt to create a dance sculpture during the Blackville High School Valentine's Day Dance on Thursday, February 11. Proceeds from the dance went to the hockey team. Grade six students at Blackville School recently took up a collection for the Haiti Relief Fund. In just one day, the students raised $1265.54. The students were encouraged to do this as part of being Active Citizens, which is promoted in the Social Studies program. On Tuesday, February 10, the students presented the cheque to Mr. Rod Fraser of the Miramichi Red Cross. The Grade Six Class at Blackville School led a fund raising campaign for Haiti.